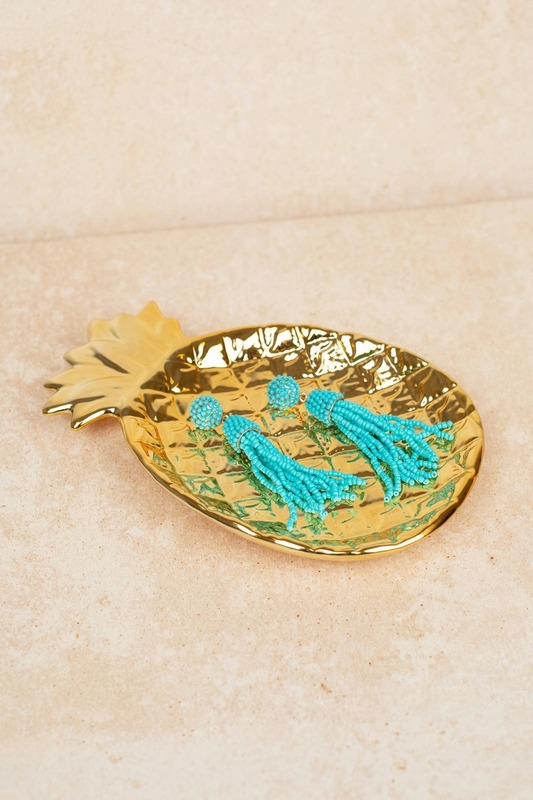 Check out Tobi's Pineapple Punch Jewelry Plate Keep all your accessories sweetly organized in the Pineapple Punch Gold Jewelry Plate. This jewelry holder features a flat bottom pineapple shaped plate with curved edges. Perfect for setting by your nightstand, this gold jewelry plate is what your accessories need. 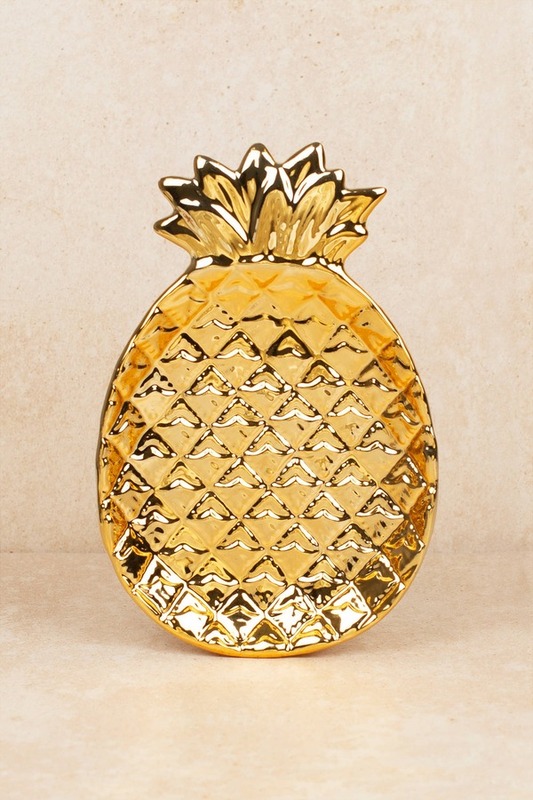 Keep all your accessories sweetly organized in the Pineapple Punch Gold Jewelry Plate. This jewelry holder features a flat bottom pineapple shaped plate with curved edges. Perfect for setting by your nightstand, this gold jewelry plate is what your accessories need.